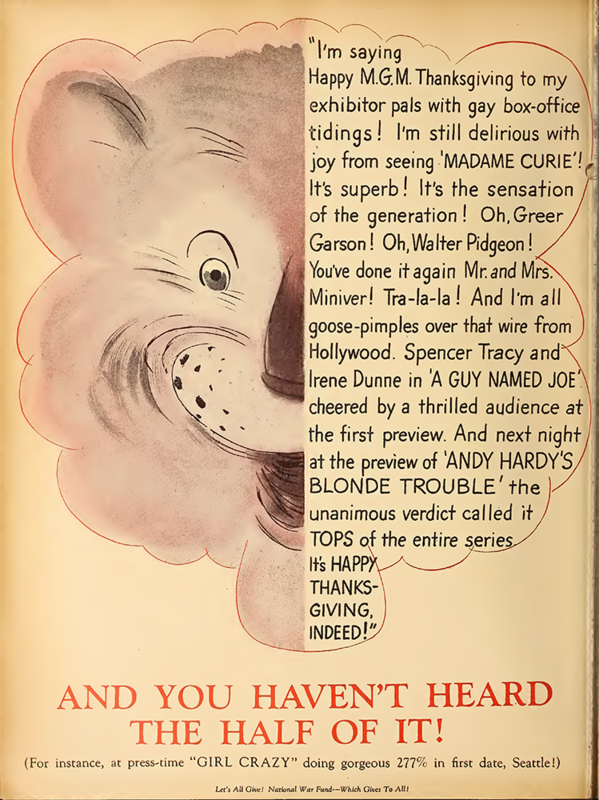 November 23, 1929: “The Gumm Sisters” returned to Waler’s Department Store in Los Angeles, California, as part of the “Big Brother Ken’s Toyland Revue.” The sisters had previously been part of the same revue for the store’s opening on November 16th. 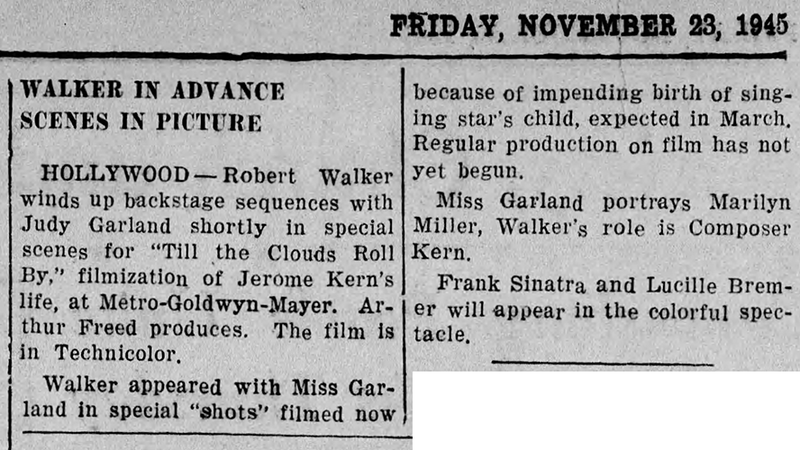 November 23, 1933: Frances (Judy) took part in the “Million Dollar Revue” which as part of the American Jewish Congress Benefit at the Shrine Auditorium, Los Angeles, California. The Shrine would play a big part in Judy’s career two decades later. 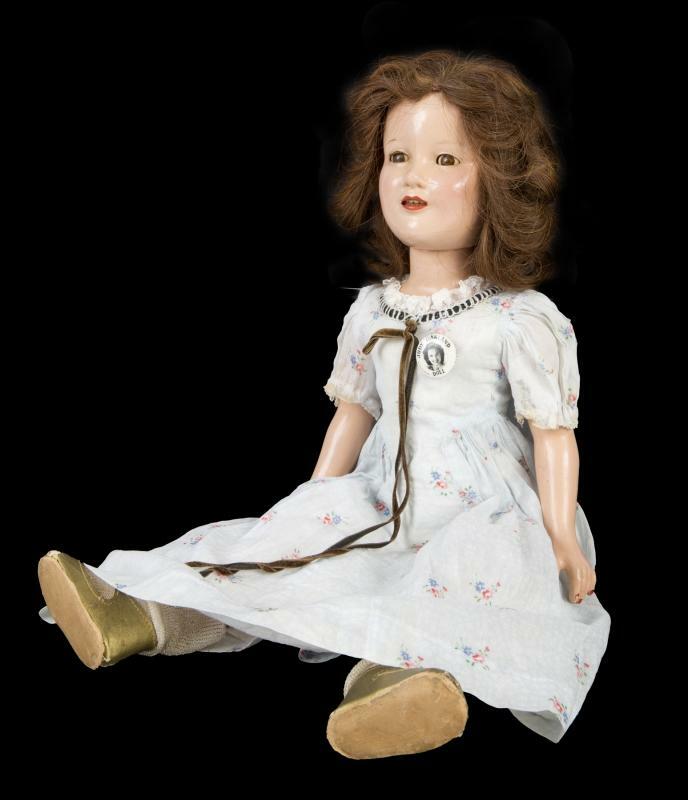 November 23, 1939: Judy Garland dolls were available in time for Christmas. This article about “Toy City” at the People’s Outfitting Company store in Wilkes-Barre, Pennsylvania. Dolls Are Different. Many new types appear this year, in Toy City’s doll department. Deanna Durbin and Judy Garland dolls which strongly resemble the girl movies stars, are favorites. November 23, 1940: More for Little Nellie Kelly. 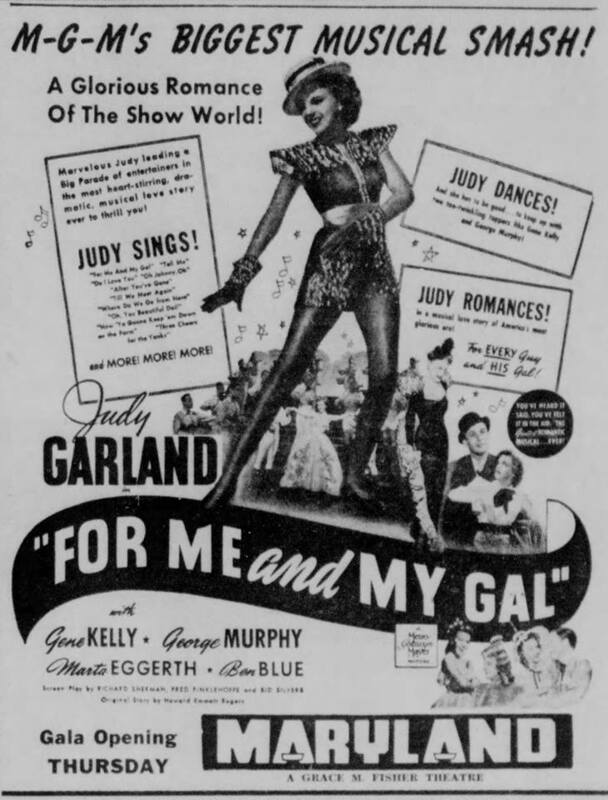 Thanks to Judy’s talents, and the talents of her co-stars, the film rose above the obvious corny plot to be enjoyable and garner Judy more praise for her acting talents. 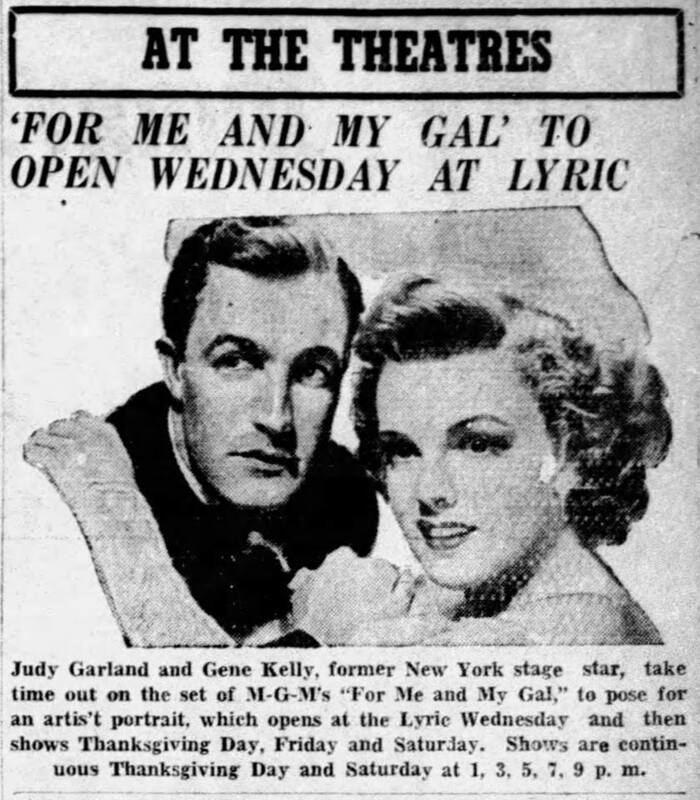 Introducing Judy Garland in her first solo starring role and in her first “grown-up” love affair, “Little Nellie Kelly,” coming to the strand theater tomorrow or an engagement of five days, is herald as giving the popular young actress her fullest opportunity dramatically to date. 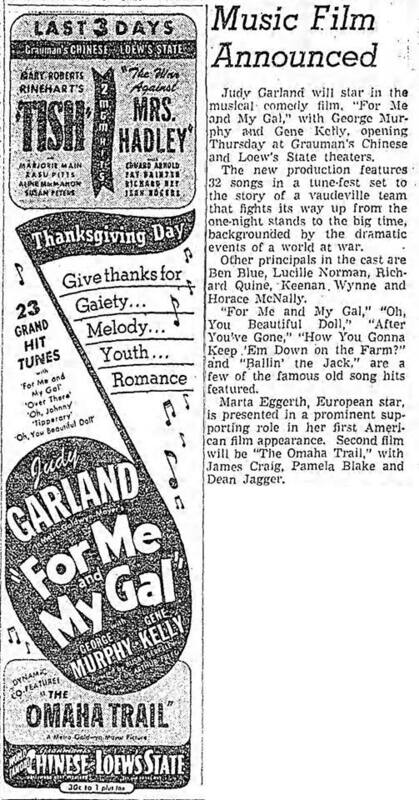 Stepping temporarily out of “kid” roles, Miss Garland come a grownup an adds new glory to her acting and singing fame. 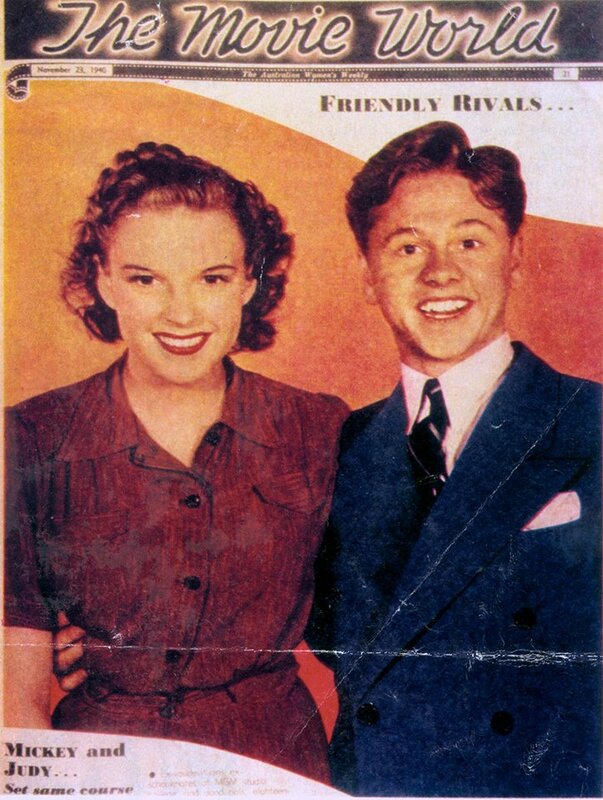 Teamed with her for histrionic honors are George Murphy an Charles Winninger, with an excellent supporting cast. The story, based on George M. Cohan’s famous play, deals with a long Irish girl who marries against the wishes of her father, who vows that he will never so long as he lives, speak to her husband. He keeps his word in spite of the fact that he, along with the otters two, comes to America to live. In America the daughter dies, leaving behind her an infant named Nellie. As the child grows older she is torn between love for her father and love for her grandfather. In the end, the two men are reconciled through her efforts. 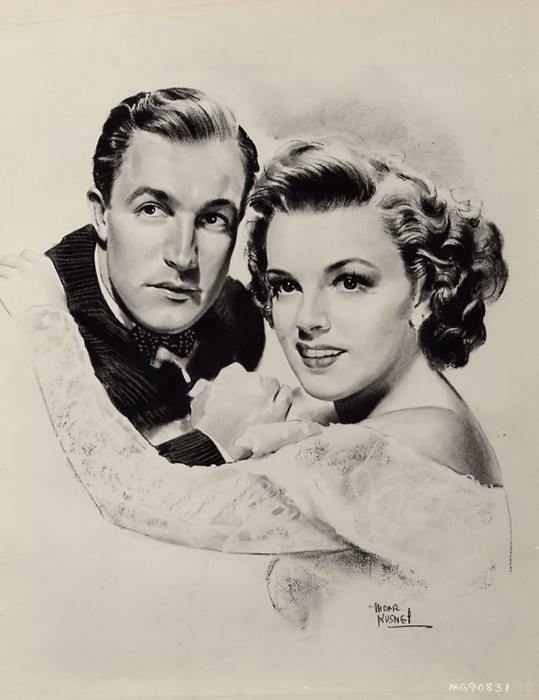 Murphy is seen as Miss Garland’s husband, and later as her father. Charles Winninger appears as the grandfather. The young baritone, Douglas McPhail, is the romantic interest of the young Nellie, and Arthur Shields, of the Abbey Players is McPhail’s father. November 23, 1940: The cover of the Australian “The Movie World” newspaper insert. 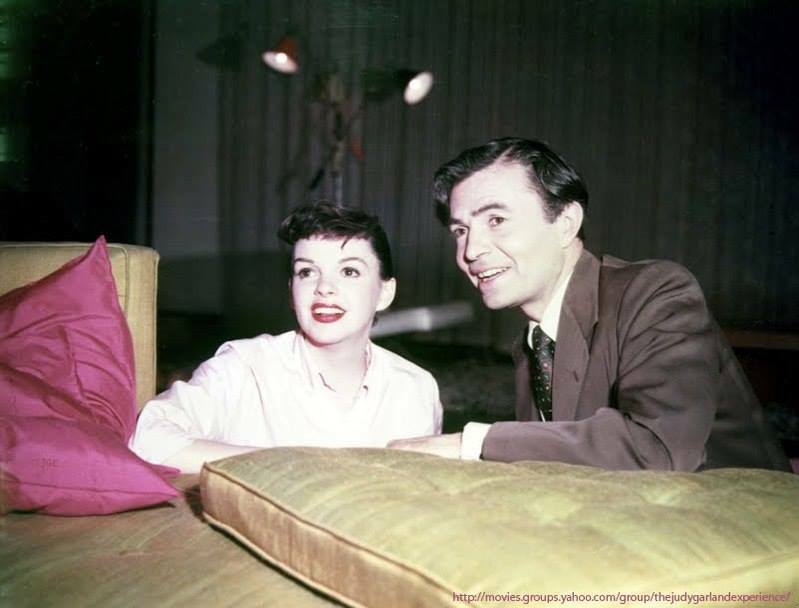 On this day, Judy was in the midst of filming on Ziegfeld Girl, having just recorded the comedy and ballad versions of “I’m Always Chasing Rainbows” ten days prior. November 23, 1942: For Me And My Gal was still doing big business across the nation. 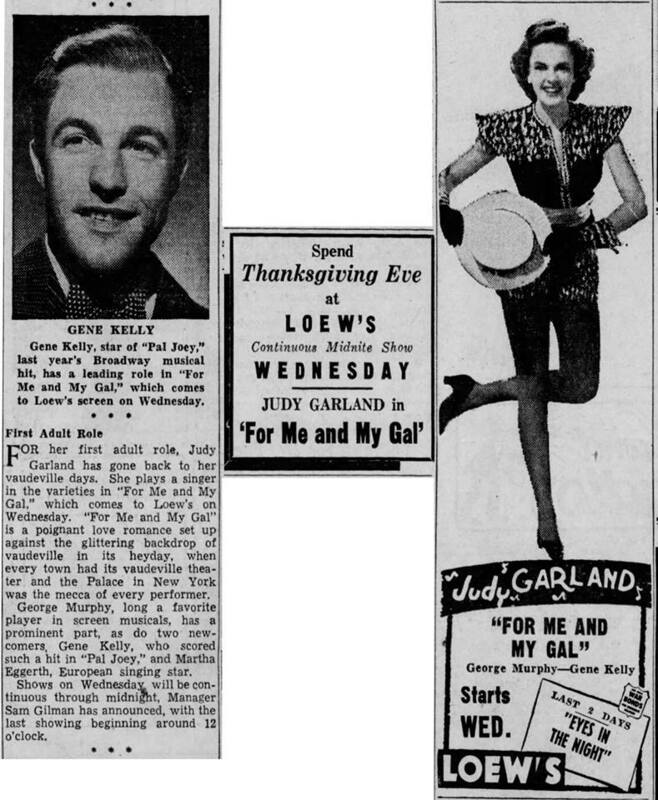 November 23, 1943: Judy had dance rehearsals of “The Trolley Song” and “Skip To My Lou” for Meet Me In St. Louis. 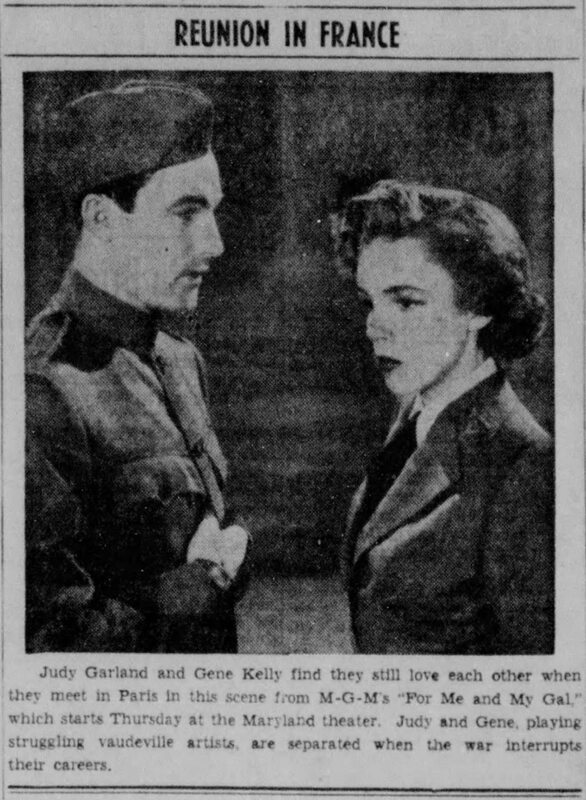 Time called: 10:00 a.m.; Judy arrived at 2 p.m.; dismissed: 4:20 p.m.
November 23, 1945: The advance filming of Judy’s scenes for Till The Clouds Roll By was noted. The scenes were filmed prior to her going on maternity leave to give birth to Liza Minnelli. 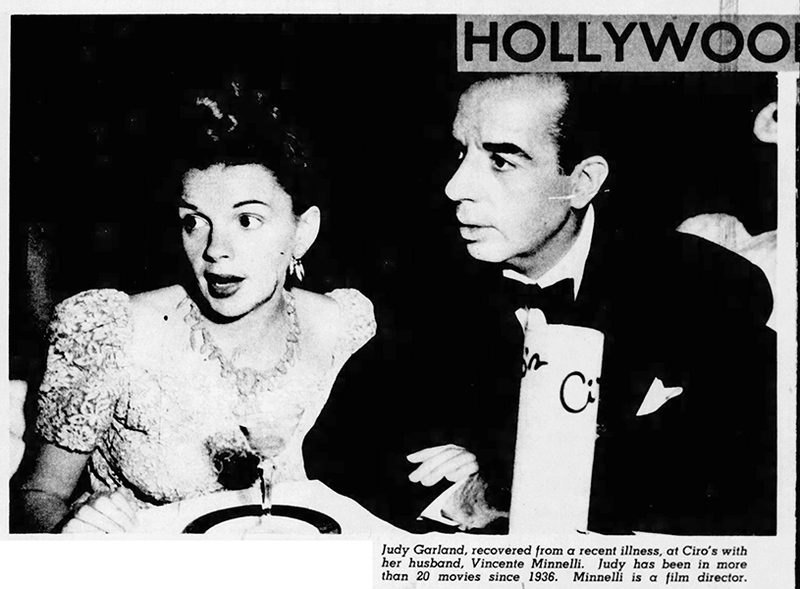 November 23, 1946: Judy and husband Vincente Minnelli were recently seen at Slapsy Maxie’s nightclub in Hollywood, California. November 23, 1947: Another snapshot of Judy and husband Vincente Minnelli out on the town, this time at Ciro’s in Hollywood, California. 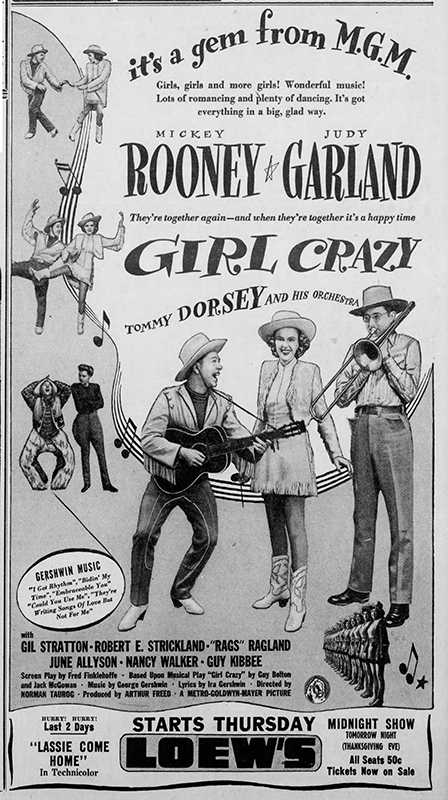 Also shown above is an ad published on this date for MGM Records. Till The Clouds Roll By is listed, although the focus is on the recording of Lionel Barrymore’s famous portrayal of Scrooge from the Dickens classic, “A Christmas Carol.” Beginning in the 1930s, it was an annual tradition that Barrymore would tell the story and play the role on radio. He missed out on playing the role in the 1938 MGM film version of the story due to his arthritis, much to audiences disappointment. Check out The Judy Garland Online Discography’s Pages about the various releases of the MGM Records soundtrack LP of Till The Clouds Roll By here. Download the original MGM Records LP here (zip file). 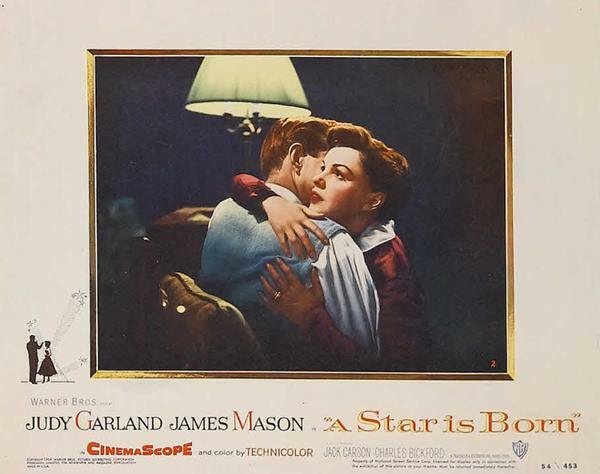 November 23, 1953: Recording session for A Star Is Born. 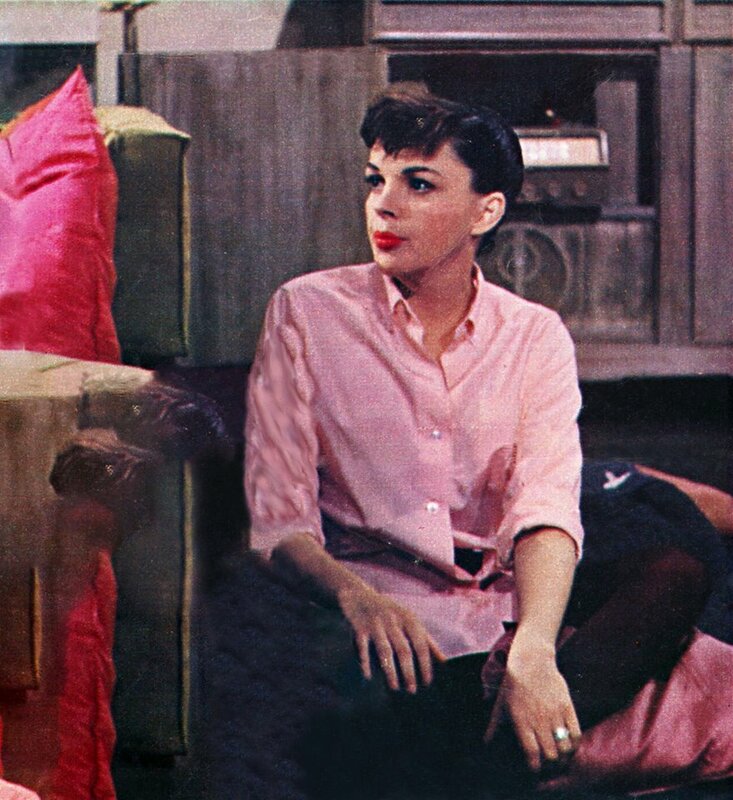 Judy pre-recorded “It’s A New World” and the “Tour de Force” (“Someone At Last”). 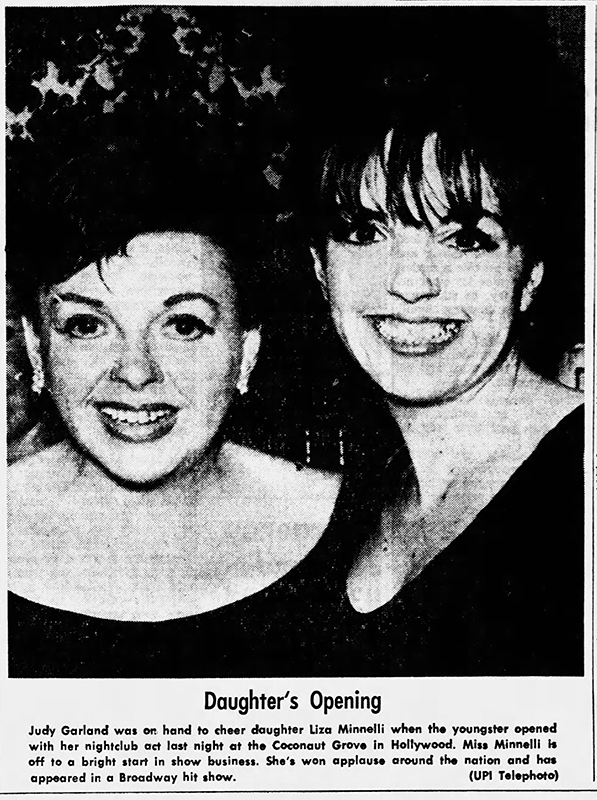 Time started: 2 p.m. – Finished: 5:30 p.m.
November 23, 1964: Judy and Liza recorded vocal tracks for the “Judy Garland And Liza Minnelli ‘Live’ At The London Palladium” album in Capitol’s London studios. They recorded their vocals over the orchestra tracks that were made during the November 15th concert recording. 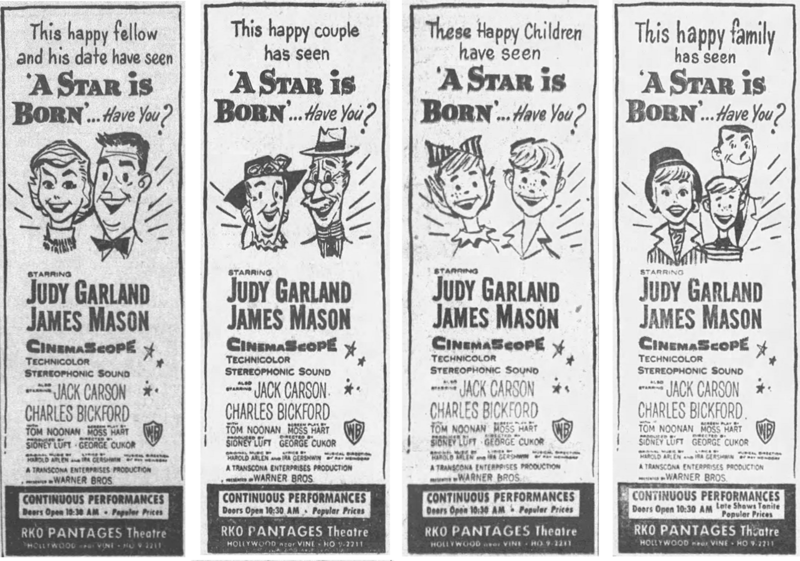 Judy dubbed “Just Once In A Lifetime” (one take); “His Is The Only Music That Makes Me Dance” (two takes); and together Judy and Liza dubbed “Hello, Dolly” (one take); “Don’t Rain On My Parade” (three takes); “San Francisco” (three takes); and “Chicago” (two takes – this song used orchestra tracks from the first concert). Liza dubbed new solos of her “Mama” tribute and “Who’s Sorry Now?”. Listen to, and download, the complete recordings here. Check out the album and its reissues at The Judy Garland Online Discography. November 23, 1965: Judy attended daughter Liza Minnelli’s opening at the Coconut Grove, with husband Mark Herron and her two children from previous husband Sid Luft, Lorna and Joe. 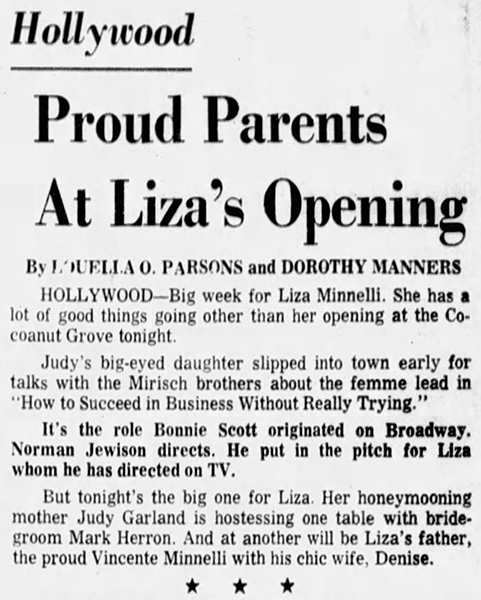 Liza’s father, Vincente Minnelli, was scheduled to attend but according to Mike Connolly’s column, he came down with appendicitis and had to be rushed to the hospital. Luckily it wasn’t life-threatening and everything turned out fine. November 23, 2015: Bonhams & Butterfields held an extensive auction that included these great Garland items. The images here are select pages from The Judy Room’s 2015 Year in Review, download the interactive PDF here. Check out all of The Judy Room’s Year in Reviews here.